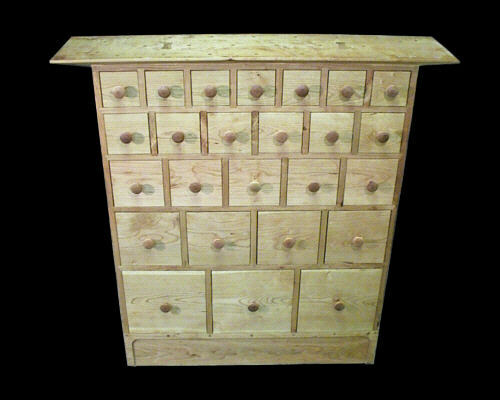 This is another 25-drawer apothecary chest. This cabinet is made of solid American black cherry outside and basswood inside. 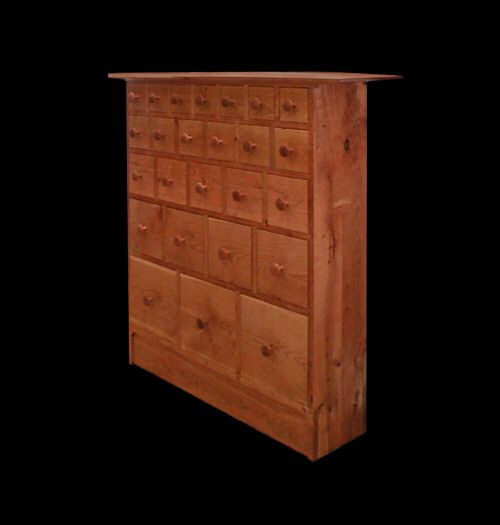 Drawers are made of solid cherry, inside and out, with aromatic red cedar bottoms and are practically airtight. This cabinet measures W=48 1/2" wide, by 47 1/2" high, depth is 9", top 11". Copyright ©2004 - 2012 Stan Pike Designs.